Dallas Fair Park - 34. Pan American Arena. Located north of the Food and Fiber Building, Pan American Arena has its origins going back to the turn of the century, but details remain elusive. The structure received renovations, especially to its exterior so it could match the surrounding buildings, in preparation for the centennial celebration. 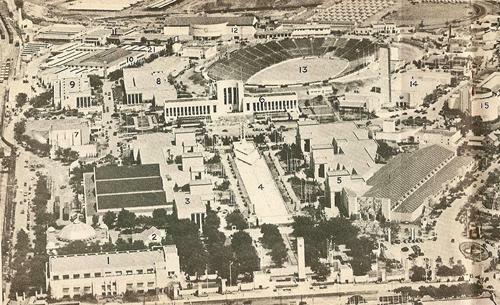 Originally called Livestock Coliseum, it was transformed into a roller skating rink during 1941. It has since become a place to watch live shows during the state fair. Officials have gotten into the routine of providing two regular attractions and one temporary show. The permanent productions currently presented at the arena are a dog show and a series of pig races. Jump! The Ultimate Dog Show is provided by Lou Mack, the owner of a Las Vegas company called CoolDog Productions. Operating since 1982, the business rescues stray canines and trains them at a two-acre facility. The dogs perform tricks such as frisbee catching, hurdle racing, and long jumping. In addition to entertaining audiences, the shows are used to promote adoption and stress the importance of controlling the pet population. The pig races first arrived on the scene in 2005. The swine are provided by Joe Hedrick, a man who owns an exotic animal farm in Nickerson, Kansas. People are invited to take a tour of the facility and interact with a variety of animals including kangaroos, yaks, antelopes, ostriches, porcupines, zebras, camels, giraffes, and many more. In addition to the farm, Hedrick also has a bed and breakfast hotel with animal-themed rooms. He provides four-legged participants for petting zoos, camel rides, zebra races, live theatrical productions, and pony rides. Joe Hedrick brought ostrich races to the state fair in 2013, replacing a dog show called The Amazing Dobermans. Twenty-four arrived for the daily event, but took turns throughout the season racing against each other. The jockeys riding on top only had a single pad to hang onto because the ostriches had no reigns. The whole attraction lasted for two years. The latest visiting production was called The Lone Star Horse Spectacular. Narrated by actor Barry Corbin, it told the story of Texas using the six flags motif. In addition to the horse riding stunts, there were singers, dancers, and a bullwhip artist. It will be replaced in 2016 by a show about the Old West. Behind the arena, there is a large area filled with stables for the horses used by the local cops. It also contains a special museum that pays tribute to the history of the K-9 and mounted units of Dallas. 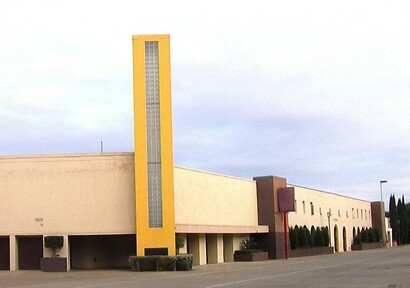 A section of the building on the right side of the arena hosts a petting zoo. Its animals come directly from the animal farm owned by Joe Hedrick. Next door, a corral serves a the location of horse demonstrations and a rodeo for kids.